Steamed Caramel Cupcakes are a caramel lovers dream come true. It is a traditional cake enjoyed by many who long for a taste of yesterday. 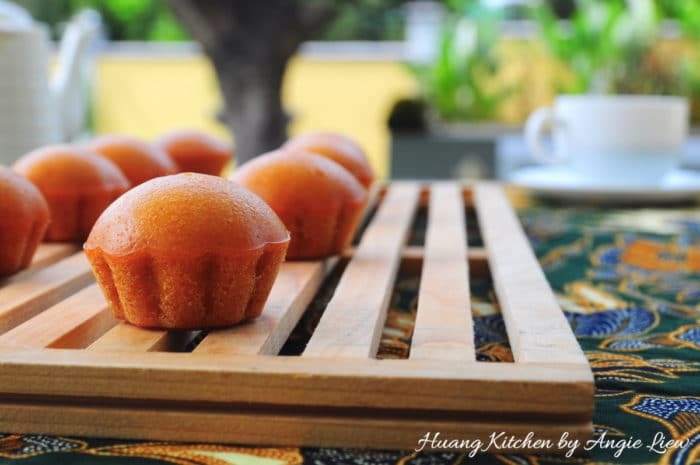 These steamed cakes are really soft and fluffy, not too sweet and has a fragrant caramel taste. 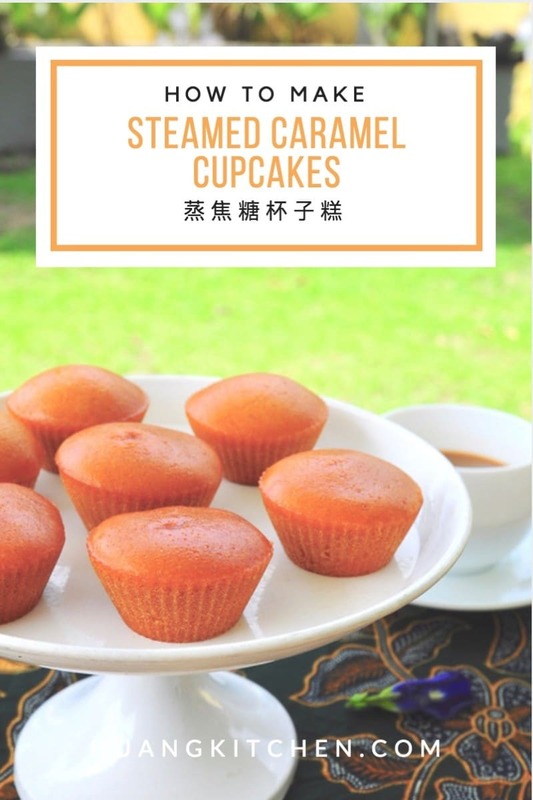 So if you love caramel, then this steamed cupcake recipe is just for you. This steamed caramel cupcake is extremely easy to make. Only thing is be careful to use very low heat to melt the sugar to prevent burning the caramel. Also, be careful not to get burned when adding water into the caramel as the caramel may sputter. Be sure to use heat resistance cupcake moulds to steam the cupcakes. 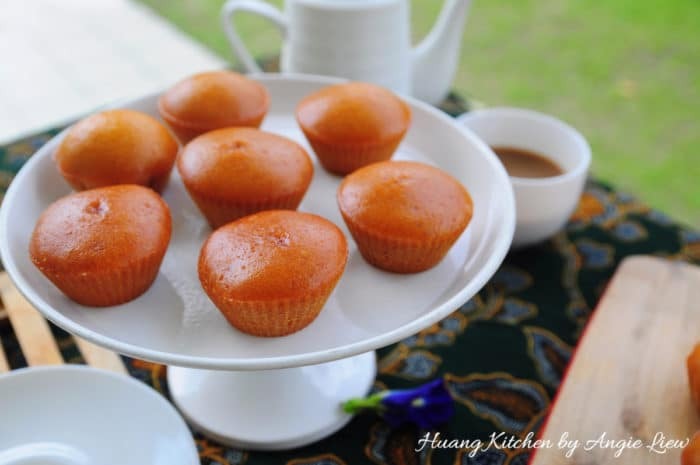 Before steaming, steamer need to be preheated and steam the cupcakes over high heat until done. Lastly, cool the cupcakes before unmoulding and ENJOY! 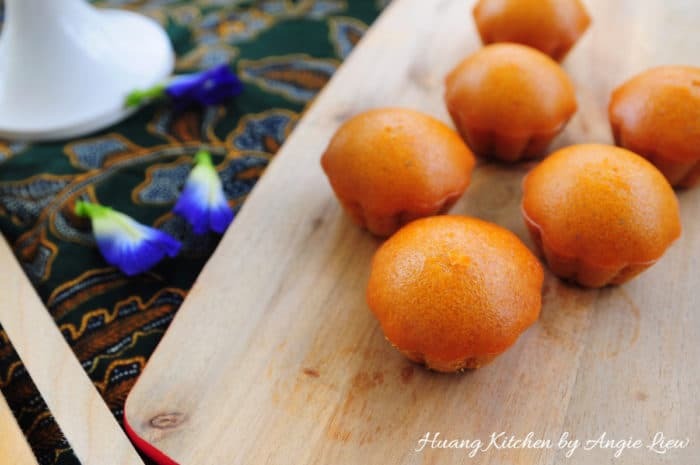 Over low heat, gently boil sugar in a saucepan until it melts completely and turns golden brown in colour. Then add in water and margarine into the caramel. Continue to cook, stirring till mixture thickens. Then, set aside and allow syrup to cool. Place all dry ingredients together and sieve into a bowl. Set aside while you prepare the wet ingredients. 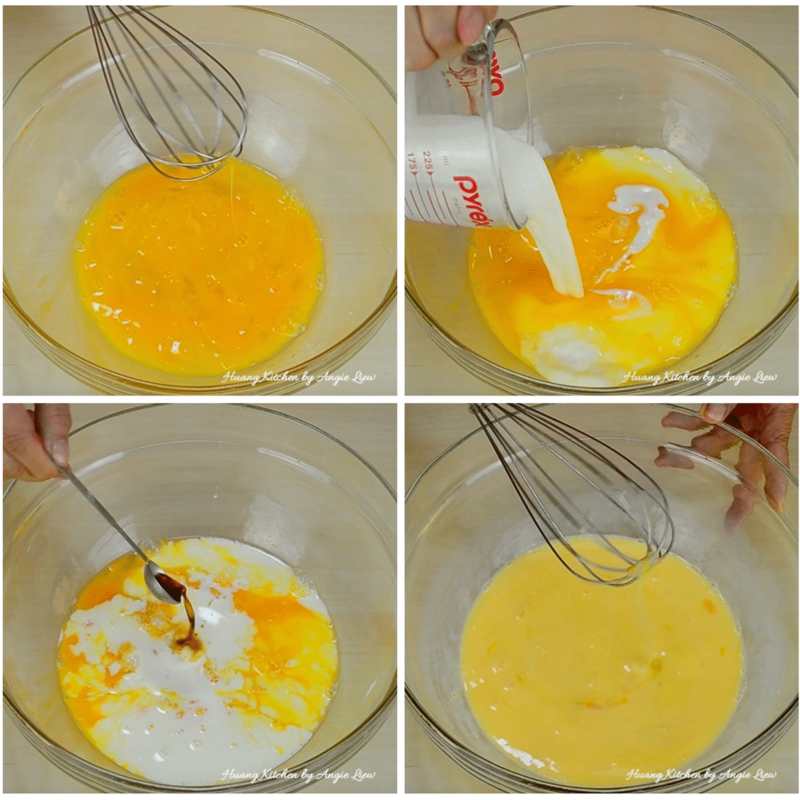 Beat eggs with a whisk. Then pour in fresh milk and add vanilla essence. Stir well till combined. 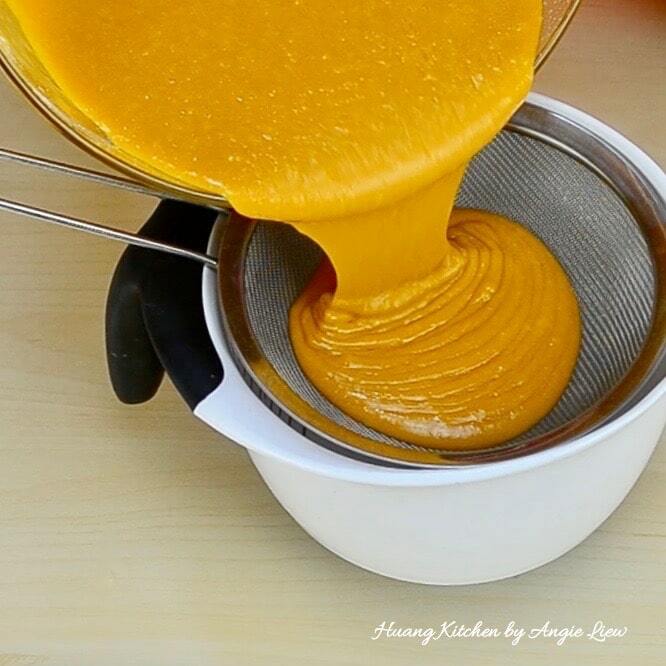 Start by making the batter. First, mix in cooled caramel into the WET egg mixture. Then mix in the DRY flour mixture. Continue to add alternately in 3 batches until a smooth batter is formed. 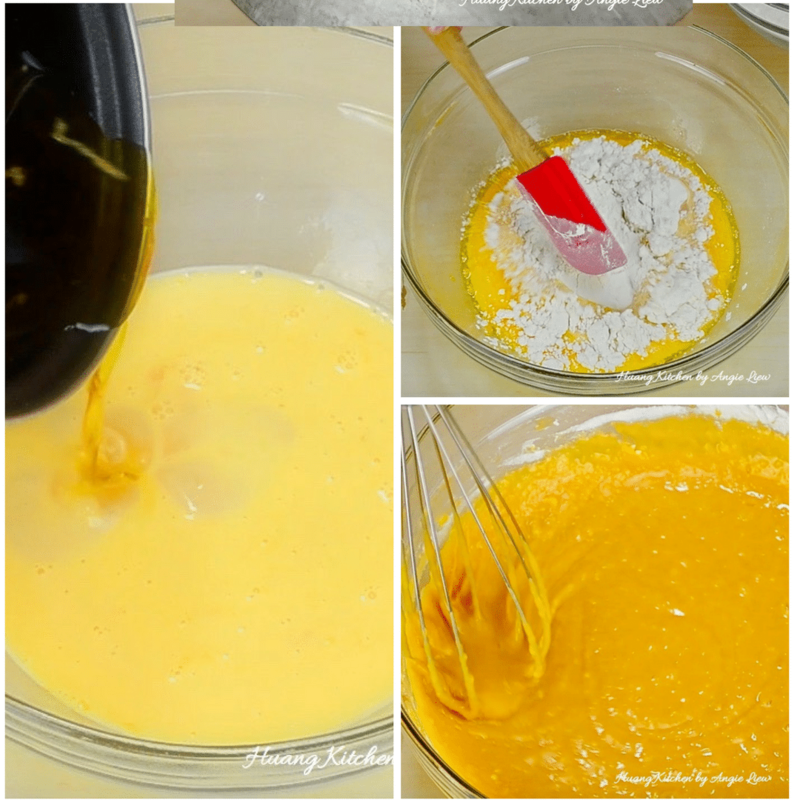 Strain the batter into a measuring cup for easier pouring into cupcake moulds. Pour batter into silicone or plastic moulds till 3/4 full. Arrange in steamer and steam over HIGH HEAT for 15 to 20 minutes. Remove the steamed cupcakes from steamer and leave to slightly cool on wire rack. Then unmould from silicone moulds and steamed caramel cupcakes are ready to be served. 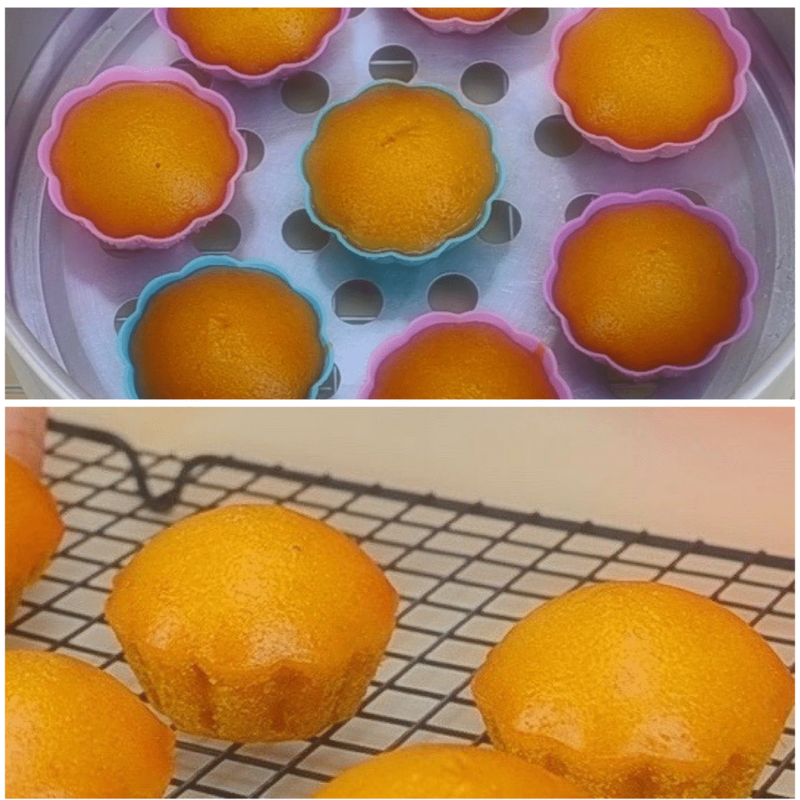 Use heat resistance cupcake moulds. Lightly butter or oiled cupcake moulds before pouring in batter. 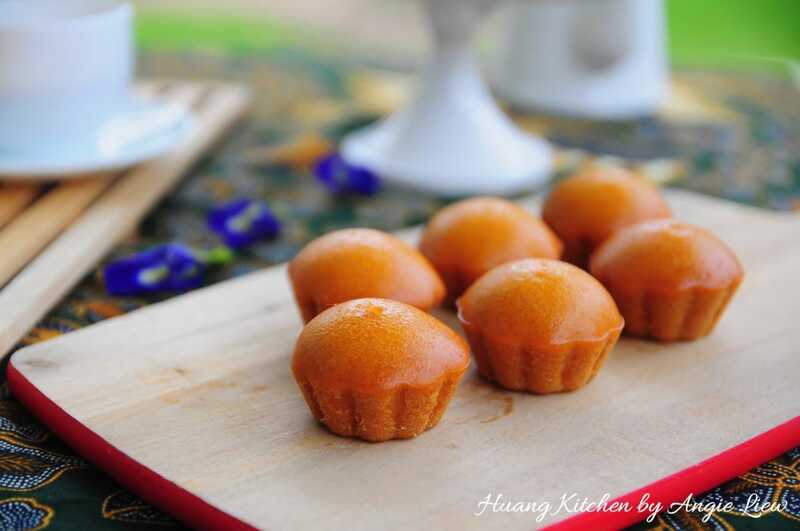 If silicone cupcake moulds are used, then there is no need to butter the moulds. 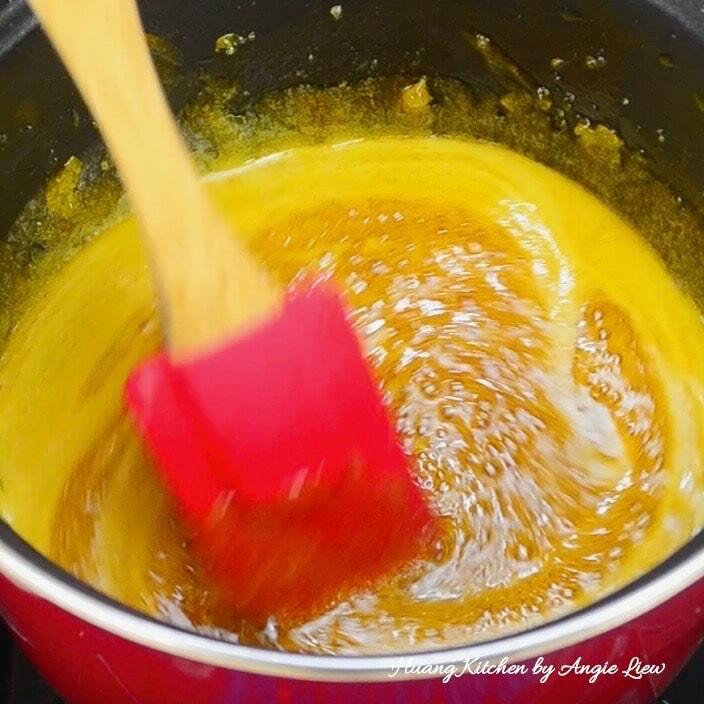 Be sure to use a heavy based pan to cook the sugar and use very low heat to avoid burning the caramel. 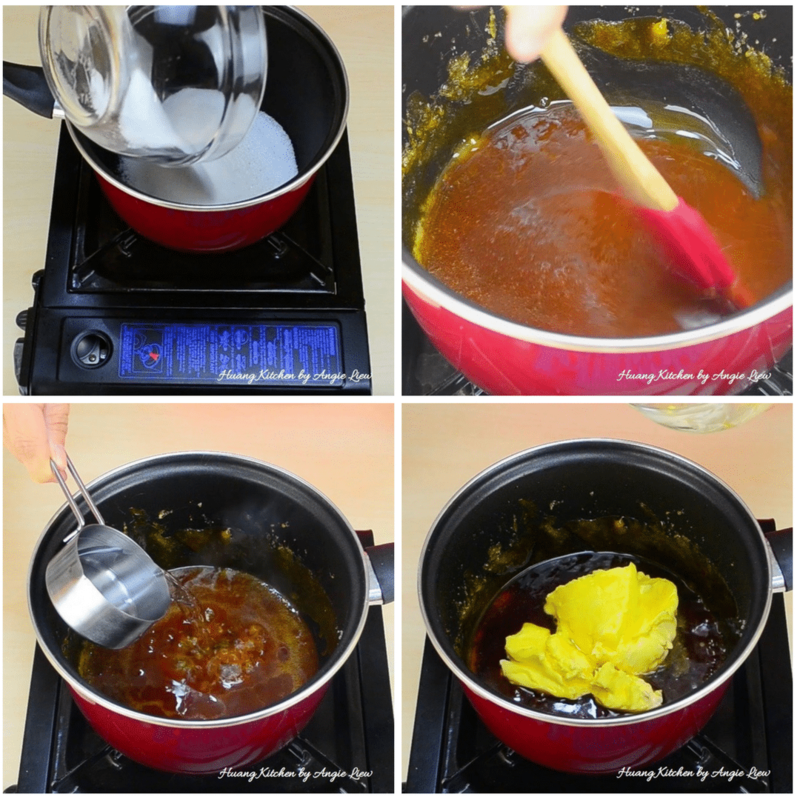 Immediately remove from heat when caramel turns golden brown in colour. Be careful when pouring in water into hot caramel as the liquid may splatter. Straining the batter ensure a smooth texture for the steamed cupcakes.